Add aditional message to cards when sending to hipchat room. 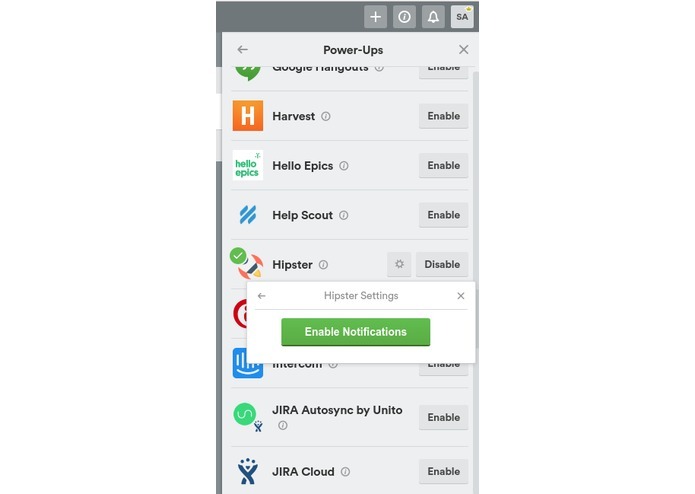 Get all the board activity on you hipchat room by enabling the notifications. Cards and Notifications in Hipchat room. We started thinking with the aim of building something which would help developers. We realised that there is a power-up available for Slack but not for one of the most popular communication platform, Hipchat. We decided to build this power-up which simplifies the process of sharing cards and board updates in your Hipchat room! 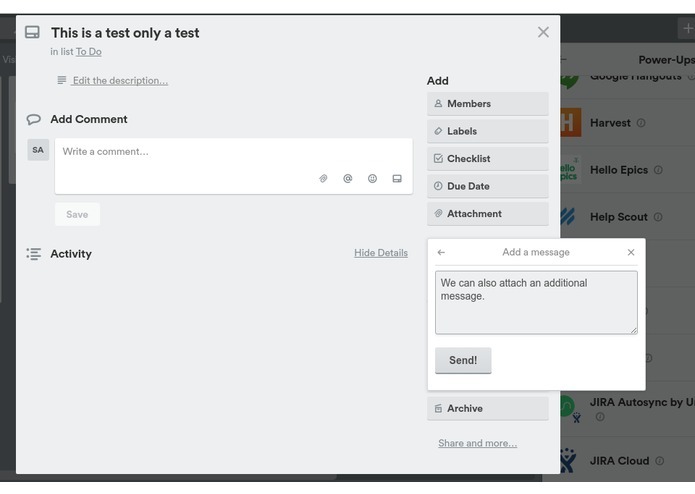 Sending cards to individual members and customizing the notifications menu are the two tasks on our minds. 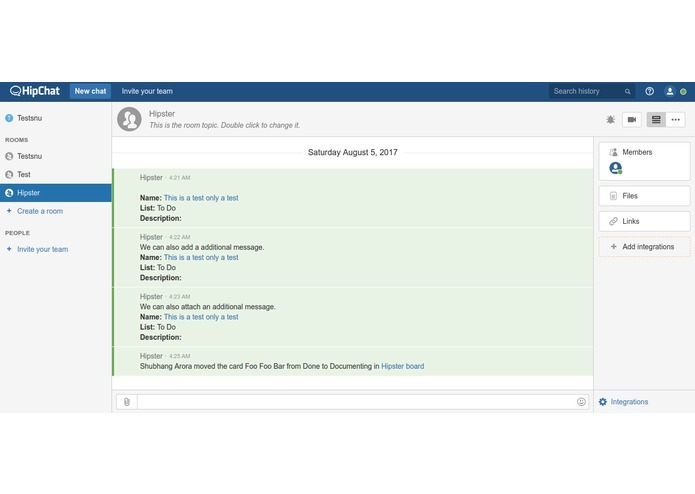 I worked on trello webhooks, to send board activity to Hipchat rooms. I worked on Trello Api's, this was my first time building a trello power-up.